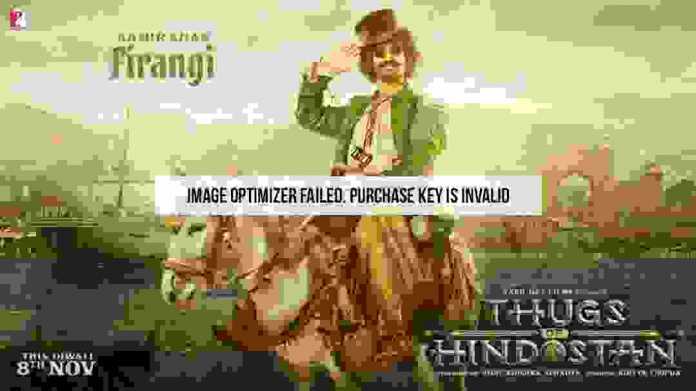 Aamir Khan Character Firangi on Google Maps; Thugs of Hindostan Movie is all set to hit screens on November 8 and the makers of the film are leaving no stone unturned to make the promotions of the film as interesting as possible. Google Maps has collaborated with the team at Yash Raj Films (YRF) where one can choose to let Aamir Khan accompany them on their driving adventures using Google Maps for the next two weeks. Yes, you read that right! “We are truly excited to bring a first-time India-specific entertainment experience to Google Maps in India. As people gear up for Diwali and to watch Thugs of Hindostan, we wanted to do our bit by making their driving journeys more fun and playful. We wish the movie every success,” said Neha Waikar, Product Manager, Google Maps in a statement. Beginning from today, you will have the option to drive along with Aamir Khan character Firangi from Thugs of Hindostan as you navigate using the Google Maps on your Android or iOS smartphone. To get started, all you need to do is first update your app from Google Play or the App Store. Next, after typing your destination, simply tap the image of Aamir Khan’s character Firangi found on the bottom right of your Google Maps app. You’ll then see a prompt to enable the experience. Once enabled, you’ll see the navigation arrow replaced with Aamir’s character from Thugs of Hindostan riding his pet donkey as he does in the movie. Google has also enabled the catchy dialogue from the movie as the voice commands, such as this popular one, “1,2,3…quick march”!